Sawtooth Outfitters is located in Tofte, MN – 1.5 hours north of Duluth along the scenic drive of beautiful Lake Superior. We are conveniently located 1 mile past the Tofte ranger station and 1/8 mile from the Sawbill Trail. 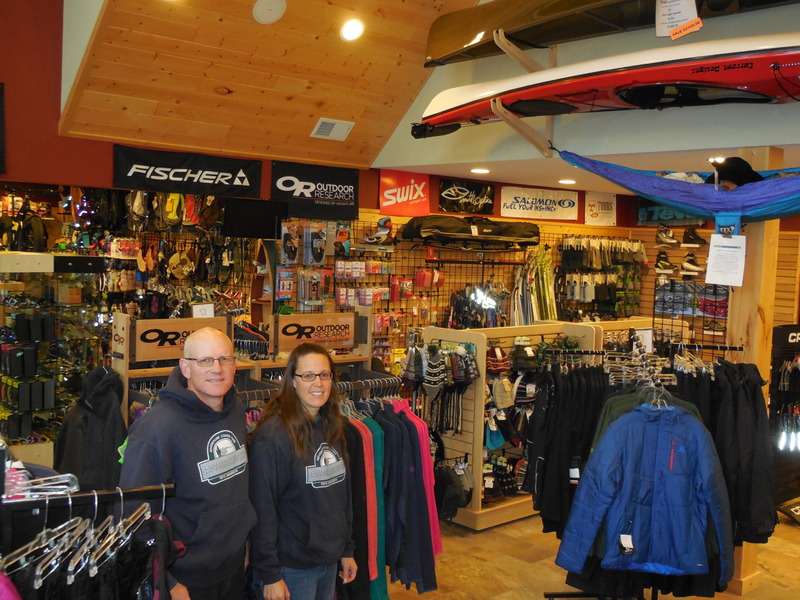 Stop in and check out our outdoor gear store, where you will find a great selection of equipment, clothing, and accessories. Our summer equipment includes: BWCA canoe rentals, camping equipment and shuttles, kayak rentals, paddle board rentals, bike rentals, and much more. Winter in northeastern Minnesota offers breathtaking scenery and an average annual snowfall of 100 inches for those seeking the thrill of downhill skiing and snowboarding, or the serenity of cross country skiing, snowshoeing and winter camping in the BWCA. Sawtooth Outfitters is located minutes away from Lutsen Mountains, the region’s largest downhill ski resort, and just outside our door is the 65 km of groomed skate and classic Sugarbush Cross Country Ski trails. We can properly outfit you and your group with new, used, and rental equipment. Our winter rental equipment includes: downhill skis, snowboards, cross country skis, snowshoes, and winter camping gear. Our mission at Sawtooth Outfitters is to offer adventure seekers and outdoor enthusiasts the best experience possible by providing expert advice, innovative products, and services. At a young age, we were fortunate to have parents that provided the opportunity to develop a true appreciation for nature. We have explored many beautiful parts of the U.S. and Canada. Remote backcountry trips, canoe and kayak excursions, and cross country road and mountain bike tours have all taken us on some very memorable adventures. It is exciting to be located in an area that allows us to enjoy our surroundings in so many different ways. You can be sure that now and in the future we will do our best to provide the latest high quality equipment and services along with innovative ideas on how to continue our mission. Thanks for checking us out. We look forward to seeing you soon.